Discussion in 'iPhone Accessories' started by TheUnforgiven, Sep 28, 2014. My iPhone 6 Plus won't be here until Tuesday/Wednesday, but I have a couple of those cheap cases incoming from eBay. I got the first one yesterday and it's looking great! 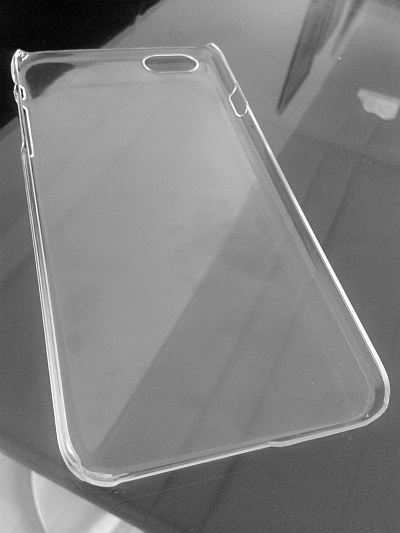 Transparent clear case. Very hard material and it doesn't bend unless you use EXCESSIVE force. Also it has cut-outs for the buttons, which I prefer. 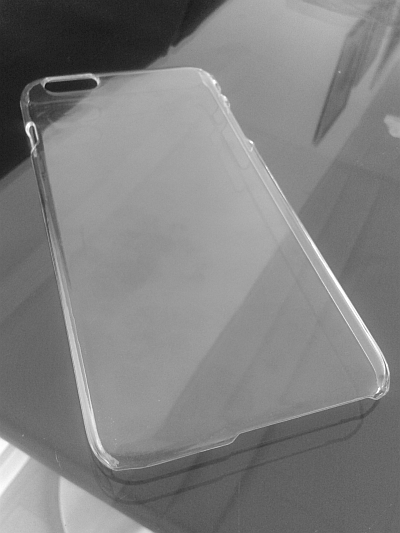 I really don't want to hide Apple's gorgeous design, so I always go with clear cases. I have a couple more coming next week. I always have to go through a few to find the perfect one. I've always wondered how do these guys make any money by selling cases for $0.99. Most generic cases are made in China, they just cost more when you pay the mark up. Not fair. You can't post a 99¢ case and not tell us enough information to find it on eBay ourselves. My iPhone 5S was babied inside a $1 case. It was still in PERFECT condition when I sold it. Not sure what you mean, I'd say most all plastic cases are made in China, and the iPhone too.. When the 5 came out, I bought a bunch of these cheap clear cases and it never worked out. These cases crack easily. Then I decided to pay up and go with power support and now I'm only going with the air jacket!